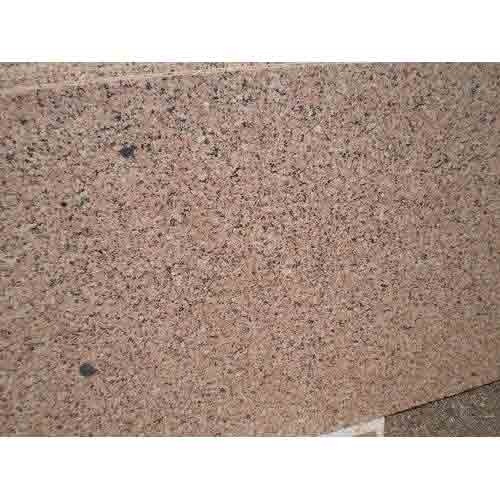 Owing to a long-term destination for our business, we are engaged in manufacturing and supplying a wide gamut of Rosy Pink Granite. Owing to its variegated features like excellent shine, contemporary design and fine finish, the offered granite is widely appreciated by our clients. At our sophisticated manufacturing unit, provided granite is processed using premium quality basic material by our skilled professionals. Available in a variety of dimensions and colors, our honored clients can avail this granite from us at pocket friendly prices. Incepted in the year ‘1989’, at Chittorgarh (Rajasthan, India), we “Rajaram Marbles & Granites Pvt. Ltd.” are recognized amidst the leading Manufacturers, Exporter and Suppliers of a broad gamut of Granite Slab, Italian Marble and Indian Marble etc. Offered marbles are extensively acknowledged by our clients for features like durability, smooth texture, crack resistance, fine finish and high strength. We process this assortment of marble in adherence with the international quality standards with the help of advanced tools. Our professionals are specialized in customizing these marbles in terms of cuts, designs, sizes, etc. in order to meet clients’ variegated demands.